Blackberry Farm is one of America’s best-hidden hotel gems. This ultra-luxurious hotel is located in an unassuming East Tennessee locale, Walland to be exact. Blackberry Farm isn’t just luxurious by Tennessee standards—it’s actually a world-renowned hotel where there’s still a sense of personal charm. One of the primary draws of this hotel is the farm fresh food served in the outstanding onsite restaurant, but also notable is the Farmhouse Spa. You can choose from a variety of rooms including accommodations in the estate, or if you’re willing to spend big bucks, you can get your own cottage. The property is set on a scenic 4200-acre property, with a little something for everyone. It’s even been recognized as the number one hotel for foodies by Bon Apetit Magazine. Speaking of dining, Blackberry Farm is perhaps known for its flagship onsite restaurant, The Barn at Blackberry Farm. The newer dining concept on the property is The Dogwood. Both restaurants offer food that’s inspired by classic Southern cooking, but with modern and upscale twists. The focus is on offering a true farm-to-table experience. You can also grab breakfast and lunch in the more casual Main House, or you can opt to have a picnic boxed up for you that you can enjoy outdoors. Other dining-centric features at Blackberry Farm include a wine cellar and the option to take cooking schools and various epicurean workshops. 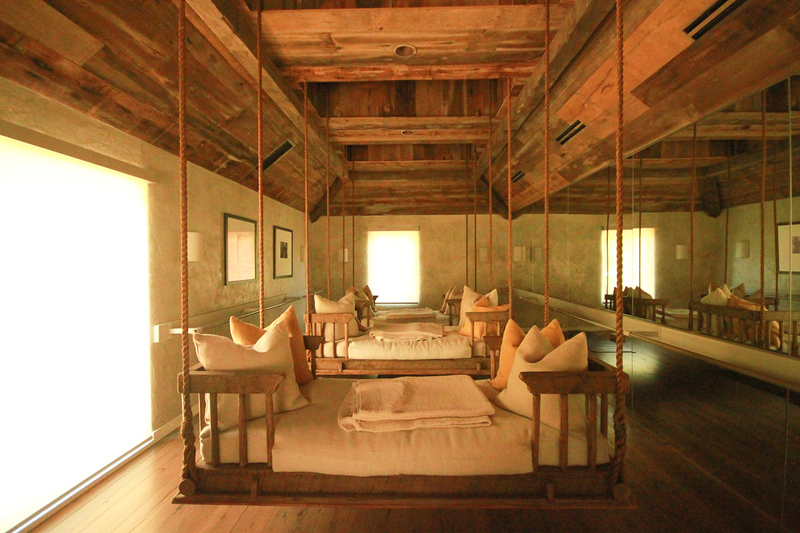 The spa at Blackberry Farm is called the Wellhouse, and the concept of this space is centered around the tranquility of the Smoky Mountains that surround you. The entire spa is inspired by mountains, forests and gardens. You can do classics like deep tissue massage, get a blow dry or do something like Reiki massage. The rooms at Blackberry Farm are all about choice. You can opt for an Estate Room, which is smaller but just as full of charm as any other accomodations on the property. Also available is the Singing Brook, Farmstead Cottage, Holly Glade suite and the Hill Cottage. You’ll find details like feather beds, luxury linens and plush robes waiting for you. When you stay at this inn you’re close to nearby Knoxville, and Chattanooga is also within a day trip, although with surroundings like what you’ll have at Blackberry Farm, you may not be interested in leaving the property. 5 Of The Best Southern Towns To Visit In The U.S.